Deep in the heart of Mexico’s Jalisco region, agave plants push toward maturity in soil still touched by the fingers of a volcanic eruption which took place 22,000 years ago. There is no room for speed here. Mother Nature moves at her own pace. In six to fourteen years these plants will be ready for hand harvest. And our partner distillery is not content with just any harvesting process. Our agave is trimmed close to the heart to ensure a clean process that delivers the sweetest taste and the finest texture. Then, the plants are taken to traditional stone-wall brick ovens where they are steam roasted for up to 54 hours. The steam gently softens the agave fibers to release the sugars that will eventually wind up in every bottle of Anaya Tequila. The slow-cooked agave is then shredded and squeezed while being gently washed in ionized water. Finally, it is fermented twice over for up to 60 hours, four times longer than mass-produced and over-hyped competitors. The result? A rich, full bodied, artisanal flavor that can’t be duplicated, and quality that won’t be compromised. Our journey began at our restaurant, Los Reyes Restaurante Y Cantina, here in the beautiful city of Vacaville, CA. After spending many years serving over 50 varieties of tequila day in and day out we began to yearn for something more. Our restaurant is known for its tequila tastings, but something was missing in our tequila line-up. We yearned for a flavor profile that spoke to our souls, something that could communicate our love for tequila and the rich history and culture surrounding it to the souls of all who tasted it. This mission sent us on a journey for something authentic, something that defied the mass-marketed, mass-distributed, and mass-produced. We wanted the power to taste every batch, and to send it back if it wasn’t perfect every time. We wanted something smoother, richer, and more exciting than anything we’d ever served before. And we wanted to introduce people to all that tequila truly could be. When we visited our distillery, we found exactly what we were looking for—an artist’s attention to detail, a lover’s passion for our product. 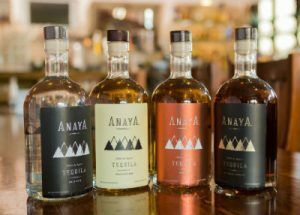 Our partnership was duly born, and the result has been a line of tequila flavors that honors the tequila tradition, each with a unique flavor profile. A truly well-stocked bar should include all four varieties for maximum enjoyment!